Hello supporters of the Azawak! Happy Friday! Today we are starting what will be our weekly updates on A Walk for Water 2014. Each Friday we will post an update on what we as a team have been doing to make this AWFW not only a huge success as a charity, but as a community as well! We want everyone in attendance to have a ton of fun, and learn a lot to boot. 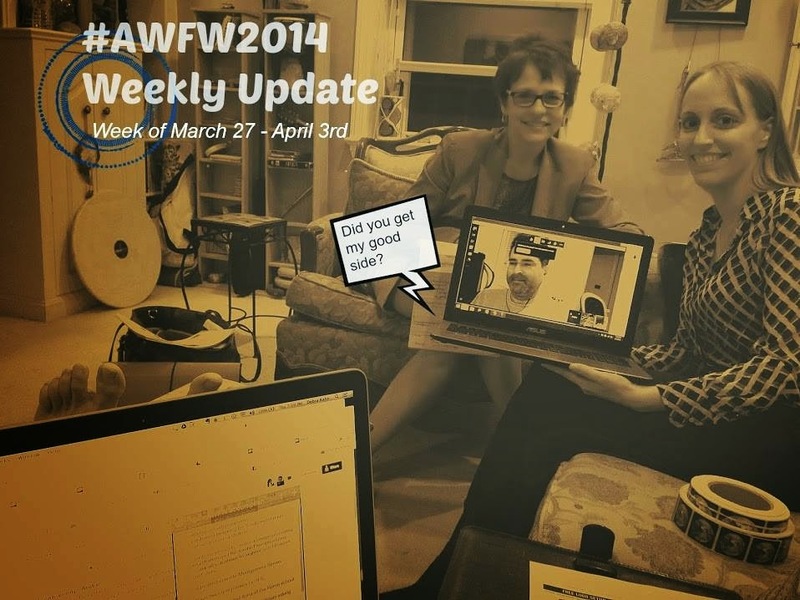 Some of you may already know, but starting last year AWFW became something that was done through the hard work of an AI volunteer team: Rebecca Reynolds (our Event Coordinator), Andre Da Silva (our Fundraising Coordinator), Debra Kahn (our Outreach and Registration Coordinator and person-who-does-all-things), Kim Hagg (our Logistics Coordinator), Jamie Ferrugiaro (our Marketing and Promotion Coordinator), and Stephen Barron (our Accounting and Event Day Registration Coordinator). Although we have been working on the event since January, last week for us was a big one! Even though this is our second year working as a team together for AWFW, we have had a lot of challenges. We opted to try a different fundraising platform for this event--Fundly. Although there are many new, exciting features that Fundly has provided for us we have found a lot of challenges as well, and a majority of last week was spent dealing with them. Debbie in particular took up the reins to get these issues solved! We have to thank everyone for the their awesome patience as we work out the kinks. We also went over some of the major decisions we have to make at this point in our time frame : T-Shirt designs, Passport design, tents we need to procure for the event, starting a marketing strategy, having volunteers hang up posters, and more! Phew.That was a lot. Speaking of, we can’t take a break yet! There is still a lot more to do before we get to see all the people who have already generously registered to participate in this event! Until next week, enjoy your weekend!